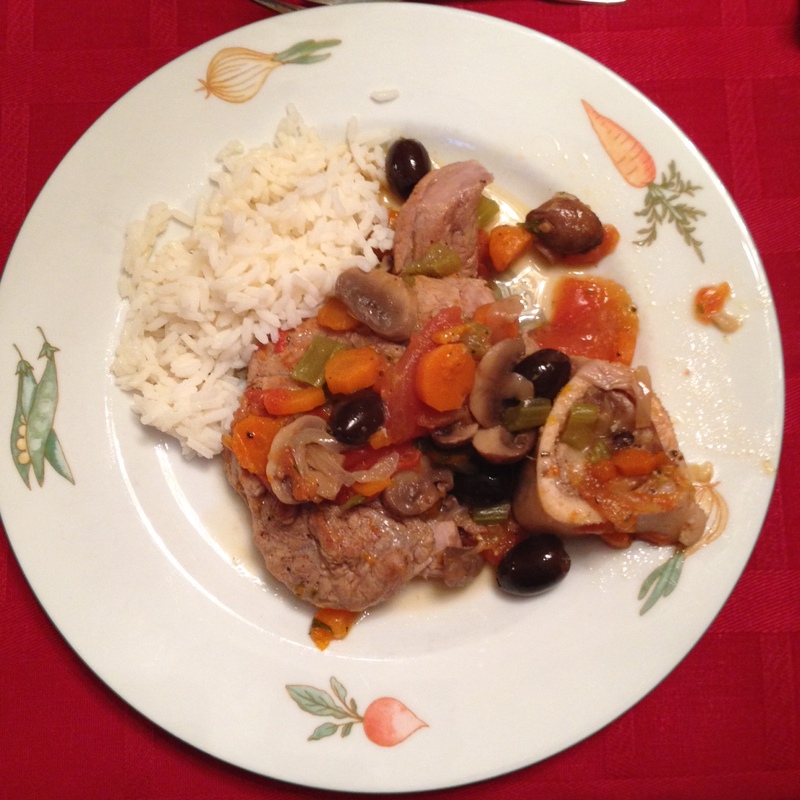 My aunt’s Osso bucco is to die for, ever since I was little I looked up to her cooking skills and any of my 2 aunts I stayed with I always gained a kg from eating much more then back at home. My mum was a lousy cook and I really wanted the opportunity to learn from my aunts. 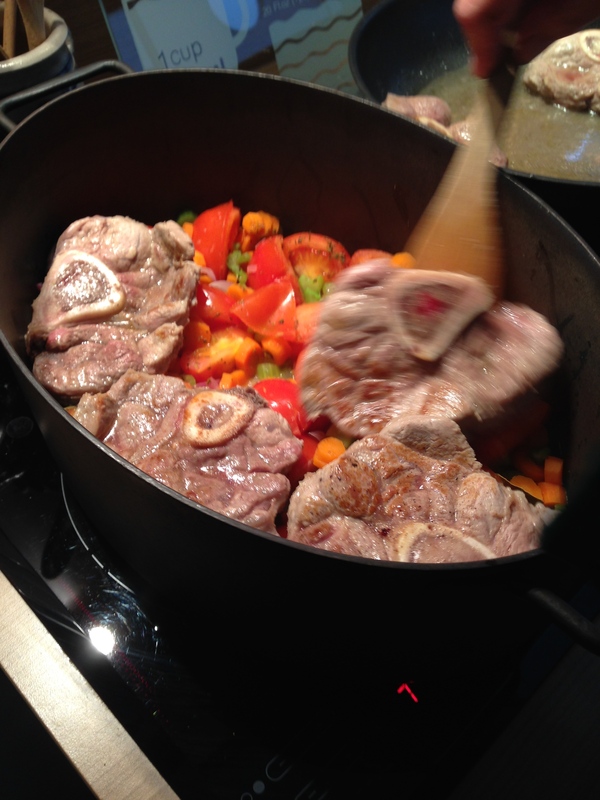 So here we go a 100 year old super easy Osso Bucco recipe, making a lovely recipe for a Sunday family dinner. 6 thick cut veal shin bone, complete with marrow. 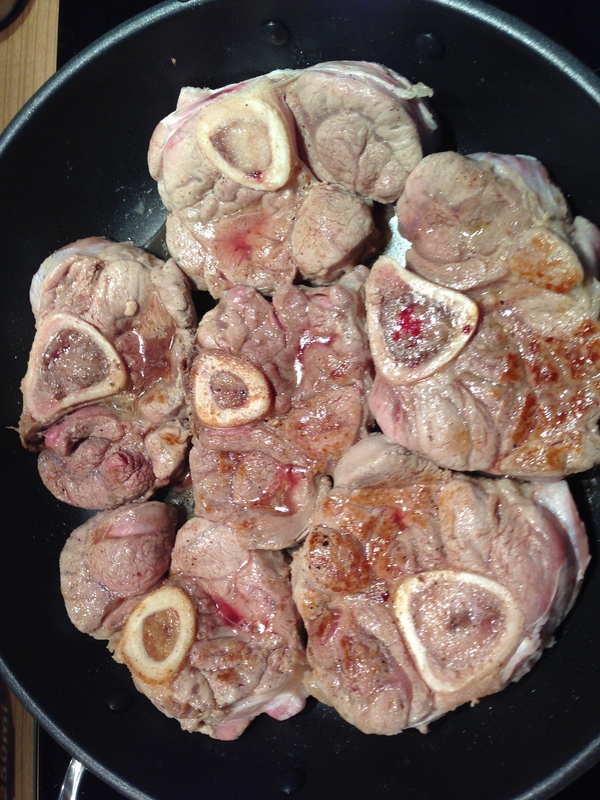 Ask your butcher for hind quarter shin bones (about 4cm thick), as they’re meatier and more tender than the front ones. 1. Cut all the vegetables (except the mushrooms)and rinse them in a colander. You can leave them wet. 2. Prepare the meat: cut some of the skin through on 2 places, it will make the meat look more appealing after your dish is finished. Season with salt, pepper and nutmeg on both sides of the meat. 3. 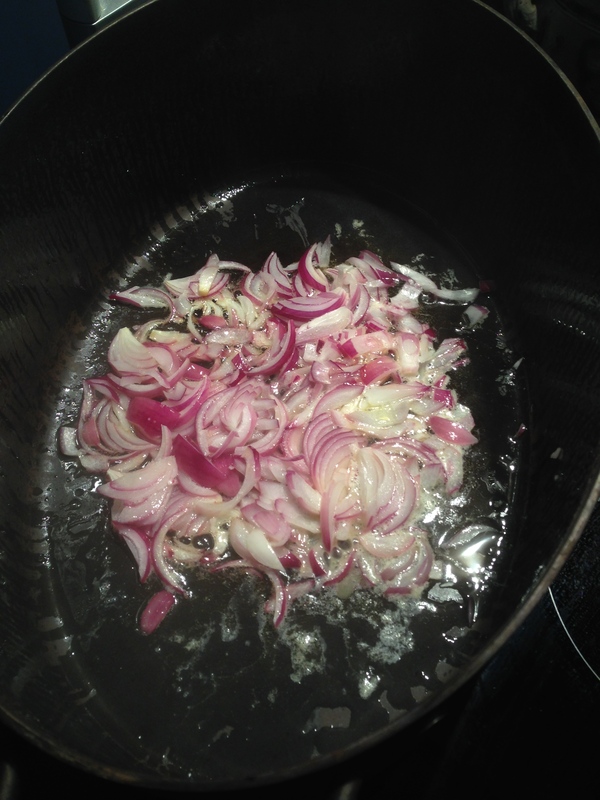 Fry de onion in a large oval casserole for 2-3 minutes, add the pre-cut celery, carrot and garlic. Add the 2 spoons herbs de provence. Let it sudder for about 10 minutes, normally you don’t need extra water to prevent burning, but if you do, use some of the prepared stock. 4. Meanwhile melt some unsalted butter ins a separate pan. Fry the meat, till the edges are a little brown, but the inside must still be read; like it looks below. 5. 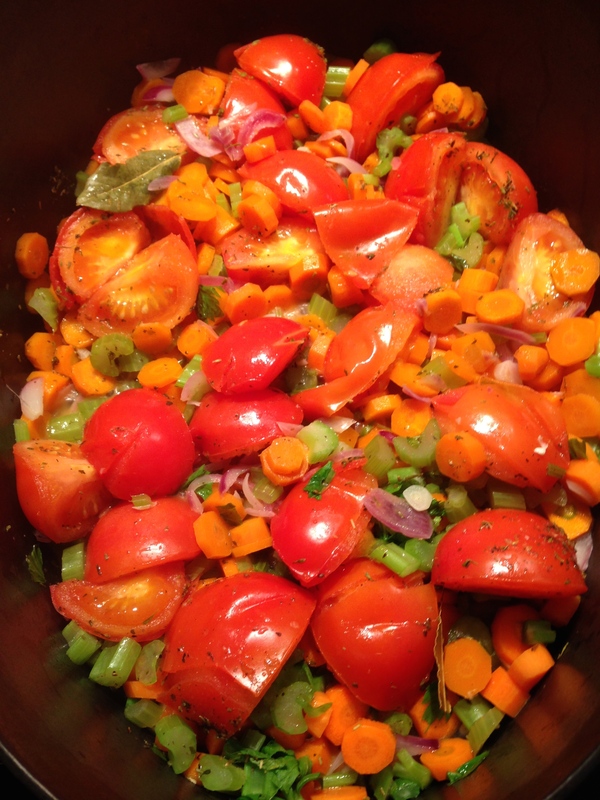 Add the tomatoes onto the other vegetables in the casserole and let it sudder for another 5 minutes. The juice of the tomatoes again should be sufficient to keep the broth moist enough, if not keep adding little bits of the stock mixture. Stir frequently and make sure it doesn’t burn. 6. Add the meat (browned on both sides) to the casserole and the left over juice from the pan as well. After a while stir gently without breaking the meat up. 7. Bake the mushrooms in the pan of the meat with some fresh butter and add them to the casserole. 8. You can choose to add the olives, but the recipe is fine without as well. 9. Let the broth sudder for another 1.5 hour and then rest till the next day. Heat up in the casserole and sudder an hour before serving. Serve with white rice or potatoes of your choice.